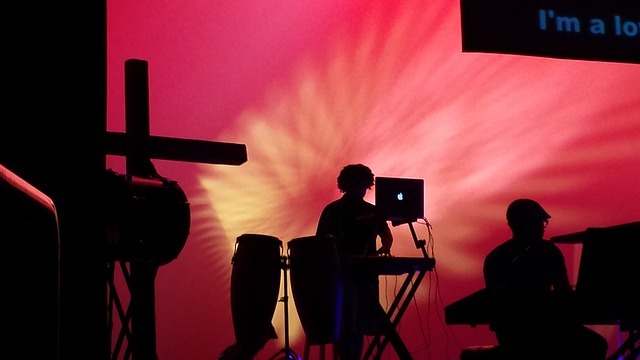 Songs and Worship is often used as an introductory period in many Christian Church services, with people filing in over the fifteen to thirty-minute period as the congregation is lead in song. As worship and gospel singing can help prepare one’s heart for the sermon and when people miss the first half of the service then their heart is not as conditioned to receive when the sermon goes forth and this is unfortunate. And, much like sermons, there are many different styles of worship or gospel singing. So, whether your Church home utilizes a choir, a band, or just a few people with instruments, there are many options for worship through song. One of the most recognizable songs to be found in almost any hymnal, Amazing Grace. Let’s look at the first two stanzas and read into what the lyrics remind us about the beauty and blessing of the grace of God. This song refers to the grace that all Christians received from Jesus Christ and the grace that is perpetually open to any who chose to follow Him, obey His word, and keep His commandments. It’s a beautiful narrative that when sung is a gentle reminder of the power and love of Jesus. The song is a unique blend of somber and hopeful, reminding us of the blindness we once stumbled in. It was His grace that found us, that took us upon itself undeservedly, and it is His grace that has set us free. Not only this, but that grace was precious to us, and provided that eternal promise into our hearts as followers of Christ. He gave His life willingly, and He gave it to us freely. Amazing Grace is a powerful reminder of the sacrifice, the power of it, and the beauty of what it means to each and every believer. Now gospel singing is good, but gospel singing done in a Holy Spirit filled setting is a real game changer. Singing to Jesus and feeling the power of the Holy Spirit is refreshing, encouraging, and beneficial to Christians who truly love being in the presence of the Lord. It also is logical that if the song or worship leader is Holy Spirit filled and Holy Spirit led then worship services would have a level sincerity and power greater than those leading by talent or showmanship alone. What if worship /song leaders prayed over the worship service as much as preachers are expected to pray over a sermon? The good news is some worship leaders are prayerful and Holy Spirit led. So when worship leaders leading the church congregation into psalms and hymns, and spiritual songs and Jesus Christ is the center focus, the spirit of the Lord moves in a heartfelt way and people respond by opening their hearts and surrendering their will to God’s will for their purpose in life and great communication happens between the individual and Jesus. Singing where the Holy Spirt can be felt is uplifting and inspiring. Singing gospel songs and making melody in your heart to the Lord with other Christian believers helps a persons outlook on life be more cheerful. Some synonyms for Spirit Filled Churches San Antonio Texas are Pentecostal Churches San Antonio Texas, Full Gospel Churches San Antonio Texas, and Apostolic Churches Texas so if you are looking for a Spirit filled worship service where you can feel the Peace, hope, and the presence of God while you sing then come to Pentecostal Life Church. 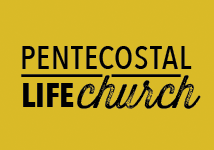 Pentecostal Life Church services San Antonio Texas and the surrounding suburbs. It is the desire of Pentecostal Life Church to have Holy Spirit filled praise and worship. If your wondering what Pentecostal a Spirit filled song service is like come to Pentecostal Life Church.